Take in twice-daily open-air game drives and walking safaris along the river famous for big game including herds of elephants and buffaloes, an impressive population of Nile crocodiles, plus predators such as lions, leopards and the African wild dog. Enjoy world class fishing or canoe along the Lower Zambezi banks, home to some of Africa’s most remarkable concentration of wildlife. In the evenings, dine with other guests in the courtyard, enjoy the pool, have a massage in the Royal Bush Spa or share a beer and the day’s sighting news at the famous Sausage Tree Bar. Included: Flights from Lusaka, airstrip transfers, all meals, local brand alcoholic drinks, all non-alcoholic drinks. and stay an extra night for free! Take a short flight from Lusaka to the Royal Airstrip where you will be met by the friendly Royal Zambezi Lodge staff who will take you to your lodge on the Zambezi river. 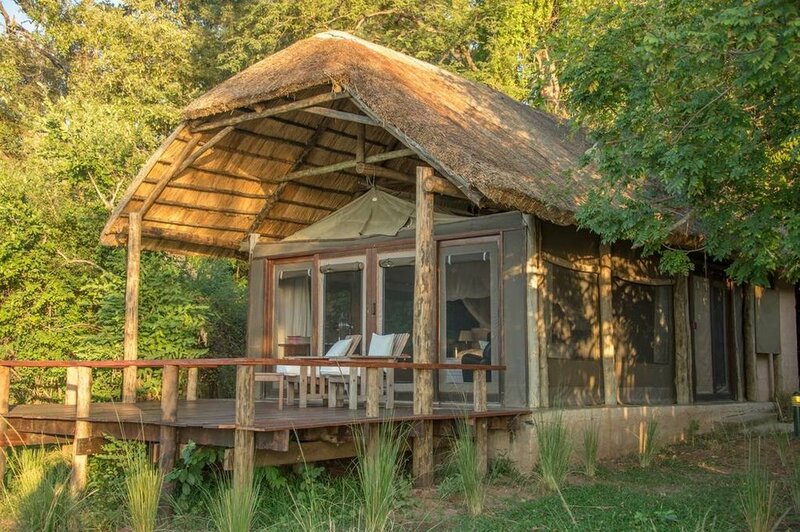 The lodge offers a vast range of activities guests can choose from: unrivaled game viewing, canoeing on the river, world class fishing, and relaxing in the award winning Royal Bush Spa. Awake early to enjoy the sunrise and a bush breakfast before you start out on a safari drive or jump into a boat or canoe to explore the great Zambezi river banks. Experience all the amazing wildlife that reside in and around the Lower Zambezi National Park. After breakfast, spend the morning doing more game viewing or join one of the Bush Spas Yoga classes. After lunch you will be transported to the Royal airstrip for your 45 minutes flight back to Lusaka airport.